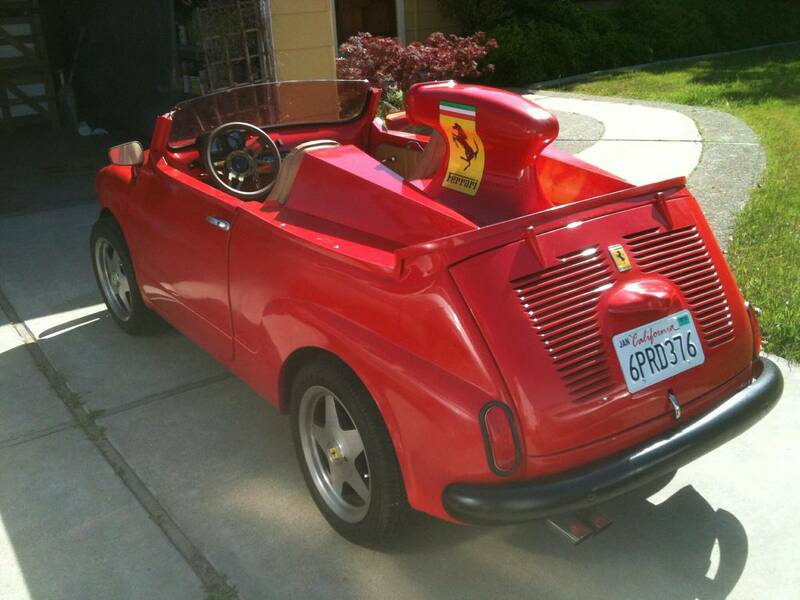 When someone brings up rear-engine supermini built by Fiat in the 1960s, you instantly think about the Fiat 500, but there was another Fiat...the 600, which was first to production and the perfect car to modify into some kind of Ferrari badged abomination. 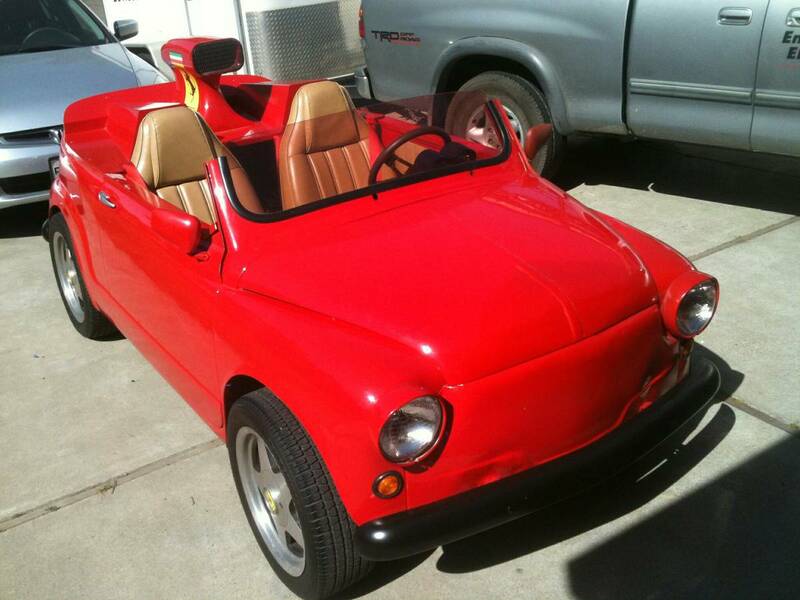 Find this 1965 Fiat 600 offered for $4,500 in Lodi, CA via craigslist. Tip from Spank. Now before you get all excited about how fast this custom convertible Fiat with a GIANT snorkus must be...yeah...the seller writes: Top speed 45, 4 speed. Sounds loud. Bellissimo!! And it looks like we have the answer to "What car needs the engine from this wrecked Ecoboost Fiesta?" posted recently. A loud car that hardly goes anywhere... Where do I sign? Where did I put my toupee? Now I know who took the seats from my wrecked Pinto! or maybe that's due to the top half missing?! If it really is a 600cc, it should be a lot faster than 45 mph. My 2CV is a 602cc, and it tops out over 70 mph.